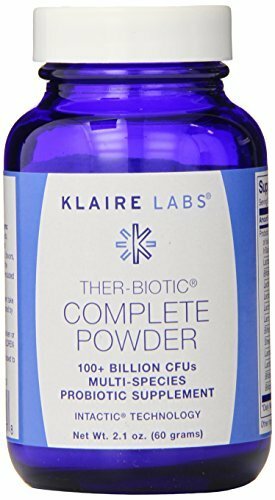 This high-potency, hypoallergenic blend of 12 certified probiotic species offers the most complete spectrum of microorganisms in the Klaire line. 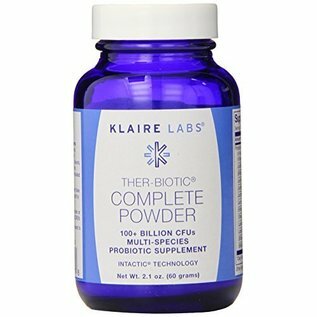 Ther-Biotic® Complete Powder is a unique combination of colonizing and transient strains providing broad coverage to support a healthy balance of microbiota across the entire gastrointestinal tract. Scientifically formulated with a full spectrum of synergistic and complementary species, Ther-Biotic® Complete Powder is designed for individuals who require significantly higher amounts of several different types of probiotic species to help support intestinal health. Formulated with 100+ billion CFUs per 1/4 teaspoon, Ther-Biotic® Complete Powder uses our proprietary InTactic® technology to ensure maximum delivery of live microorganisms throughout the intestinal tract. Suggested Use: 1/4 teaspoon daily with food.